The question of how modern human behaviour emerged from pre-human hominid behaviour is central to discussions of human evolution. This important book argues that the capacity to use signs in a symbolic way, identified by the authors as language, is the basis for behaviour that can be described as human. 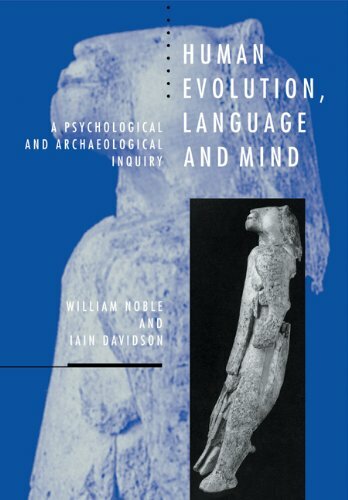 The book is the product of a unique collaboration between the key disciplines in the debate about human evolution and mentality - psychology and archaeology. It investigates the significance and nature of the emergence of linguistic behaviour. The text critically examines the archaeological record of hominid evolution and argues that linguistic behaviour emerged no earlier than 100,000 years ago. The book's interdisciplinary approach allows critical attention to be given to an impressively broad range of relevant literature. For the first time, all the known pieces of this evolutionary puzzle are examined in detail.